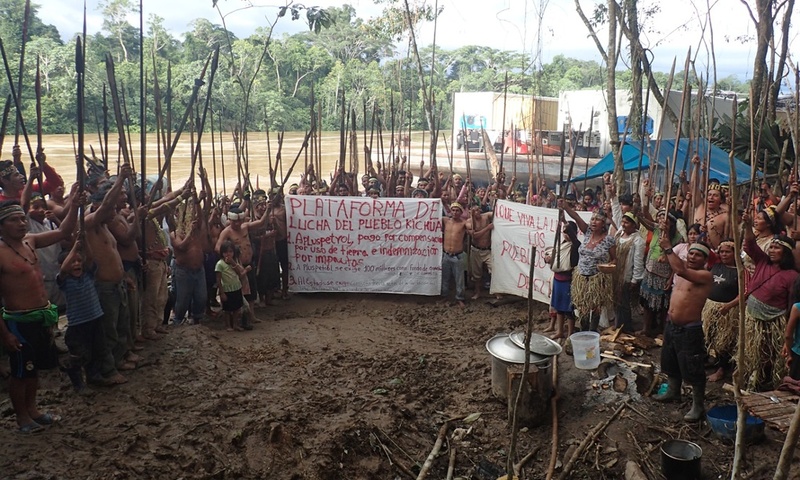 The Achuar of the Peruvian Amazon fight back against big oil and climate change. The Achuar communities say foreign oil companies pollute their lands and their clean water. They demand compensation and clean up of oil spills. 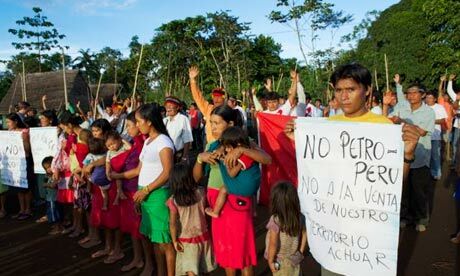 Peruvian indigenous protesters seized oil wells in an Amazonian oil block Tuesday to press the government to respond to demands for compensation due to the pollution caused by the petroleum operations. A young Kichwa girl at blockade, photo by David Hill. A month-long blockade of the Rio Tigre deep in the Peruvian Amazon has secured promises of compensation and cleanup for Peru’s Kichwa communities who have suffered 40 years of contaminated waters from oil drilling operations in their remote Amazon region. But until the funds materialize, they are holding firm in their resolve. Hundreds of indigenous people deep in the Peruvian Amazon are blocking a major Amazon tributary following what they say is the government’s failure to address a social and environmental crisis stemming from oil operations. 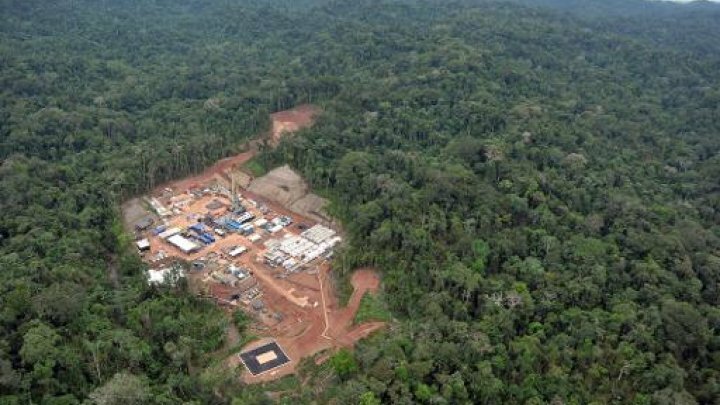 An aerial view of a gas exploration camp, run by Argentine company Pluspetrol, in the Amazon jungle near Cuzco, 470 kilometers east of Lima, on May 18, 2011. AFP file. 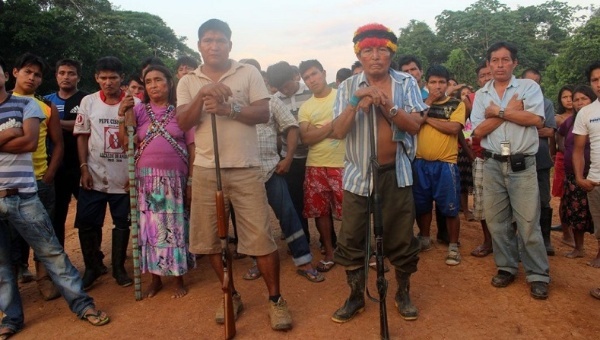 LIMA (AFP) – Hundreds of indigenous Indians from the Peruvian Amazon demanded compensation for land use at 14 oil wells, where their demonstrations caused production to be suspended, Argentine oil company Pluspetrol said Wednesday. Some 300 to 400 indigenous people have been gathering at the oil wells near Peru’s border with Ecuador since Tuesday. 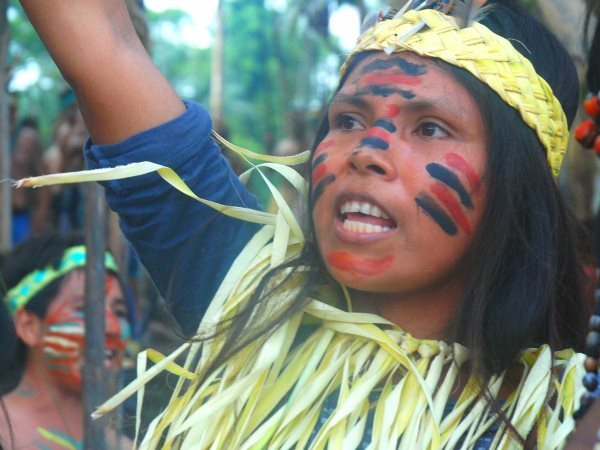 A massive trial involving 53 Indigenous leaders and activists is set to begin this week, reviving the tragic events that took place four years ago in the Amazonas Region of Peru. In April 2009, a national indigenous mobilization was organized to stop a plan by the Peruvian government to roll-back indigenous land rights and make it easier for industry to exploit the Amazon rainforest. 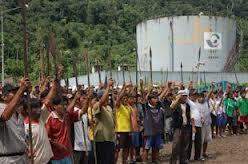 Achuar protest against oil companies, May 2013. Around 500 Achuar indigenous protesters have occupied Peru’s biggest oil field in the Amazon rainforest near Ecuador to demand the clean-up of decades of contamination from spilled crude oil. The oilfield operator, Argentine Pluspetrol, said output had fallen by 70% since the protesters occupied its facilities on Monday – a production drop of around 11,000 barrels per day. 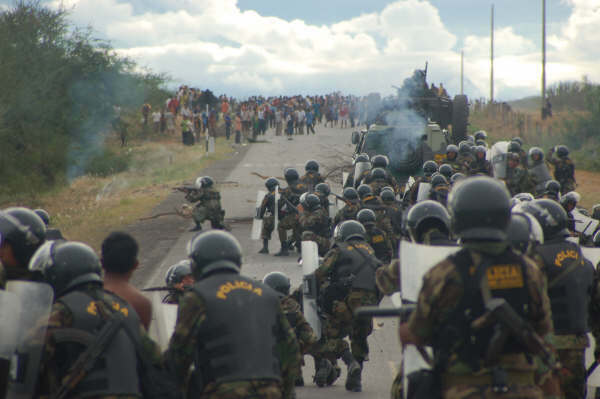 In 2009, an Indigenous uprising occurred in Peru against oil and resource exploitation.